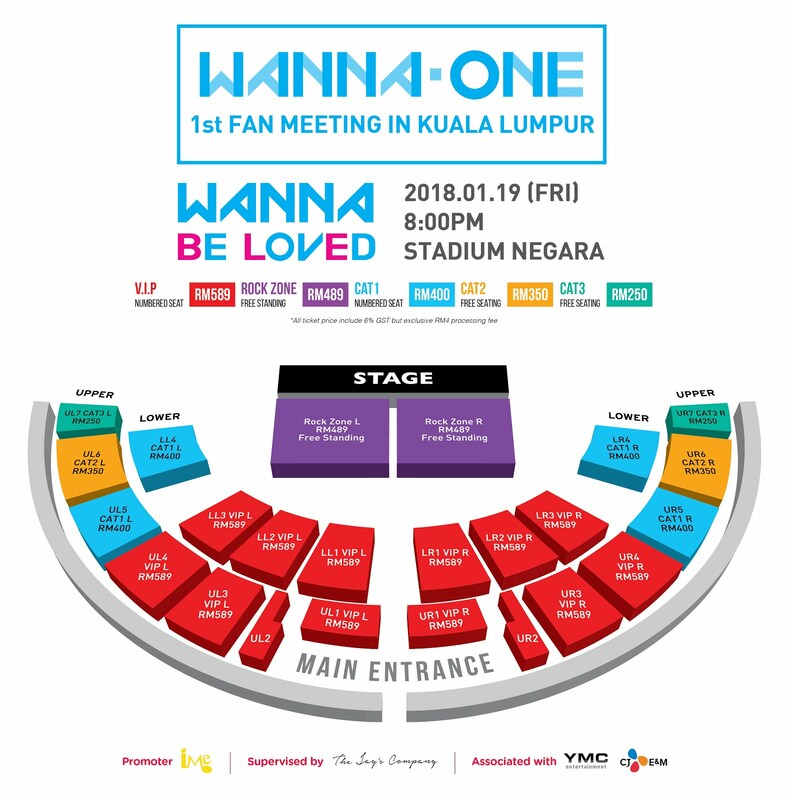 GOKPOP | Exclusive K-News in Malaysia & Singapore: Awesome Fan Benefits: Meet & Greet, Autographed CD & Poster, Exclusive Selfie Polaroid at Wanna One 1st Fan Meeting in KL "Wanna Be Loved"
Awesome Fan Benefits: Meet & Greet, Autographed CD & Poster, Exclusive Selfie Polaroid at Wanna One 1st Fan Meeting in KL "Wanna Be Loved"
We bet you heard the great news of South Korea hottest rookies group, Wanna One is coming to Malaysia for their first fan meeting 'Wanna Be Loved' on early next year. 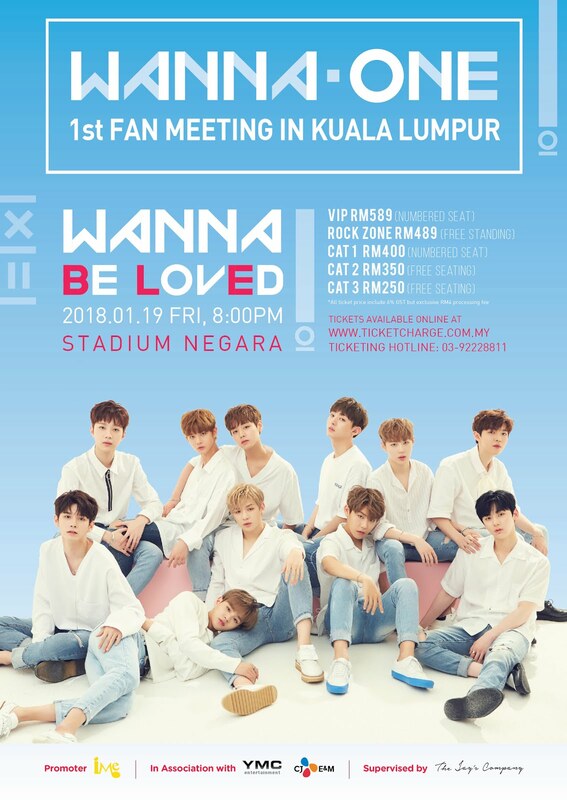 Wanna One 1st Fan Meeting in Kuala Lumpur 'Wanna Be Loved', organised by IME Malaysia takes place on 19 January, 8PM at Stadium Negara. 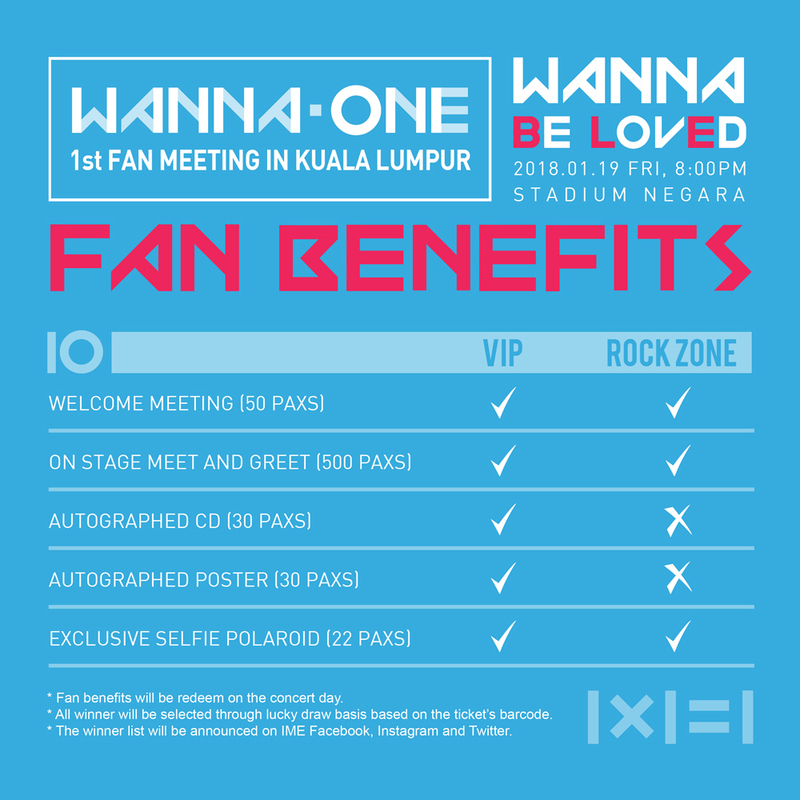 What's more exciting than the organiser announces the awesome fan benefits together with the ticket launch date. Get ready to catch 11 energetic boys live in Malaysia soon. For more details, check out IME Malaysia or dial 03-2715 1843.